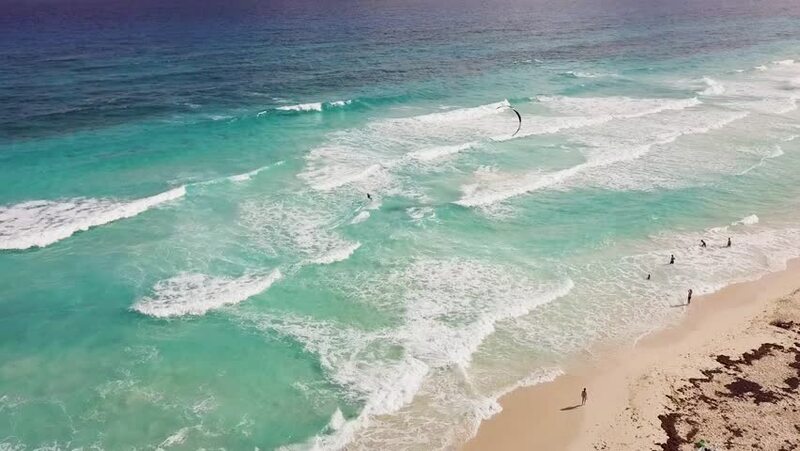 Aerial view chasing a kite boarder surfing waves on the east coast of Cozumel Mexico. 4k00:18Trace in the water from the foam that leaves sailing ship. hd00:18Summer Beach Aerial View. Flying Over The Blue Sea and Sandy Beach with People. People Enjoying The Summer at the Beach. Waves Breaking on Sandy Beach.